Between 21st and 25th of January took place the first meeting of the Up-skilling Europe project, held in Alcalá de Guadaíra (Spain). 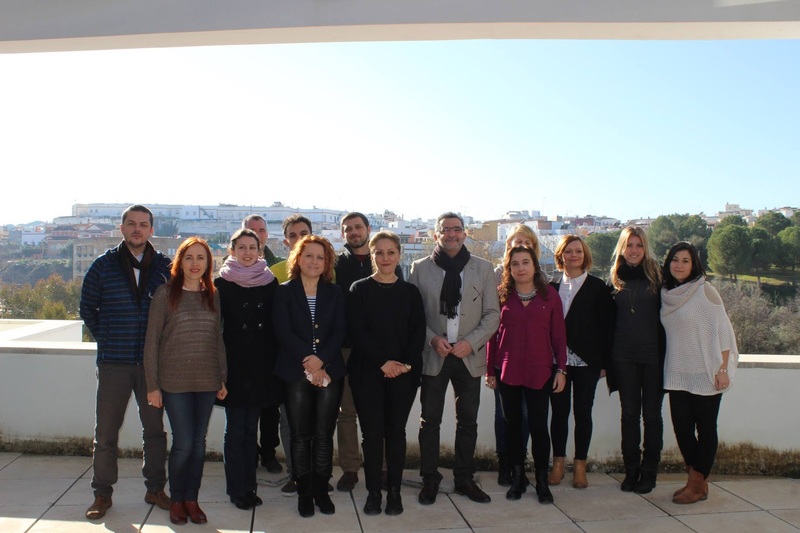 The project was inaugurated by Antonio Gutiérrez Limones, mayor of the city, who congratulated the representatives of each organisation for their commitment to improving the employability of adults at risk of social exclusion. It order to achieve this objective, the partners intend to develop educational materials in the form of toolkits to help deliver to those who need it, the basic and transversal skills most in-demand on the European labour market. To do so, partners dedicated most of the meeting to the preparation of the content of the toolkits: each organisation presented to the others their content proposals before sharing feedback and advice to help each other. The rest of the time was spent discovering the local culture, tapas and the historical parts of Alcalá de Guadaíra. The next step will be to finalise the development of the toolkits before the training event in Krakow (Poland) during which the future trainers will learn how to use correctly the educational materials. This project is the result of the cooperation of: Alcalá de Guadaíra City Council (Spain) as Coordinating Organisation, Interactive English Language School (United Kingdom) and SIKXGNL (Greece) as organisations specialised in language teaching, Media Partners (Romania) as a private company specialised in social entrepreneurship, and Stowarzyszenie Wiosna and Cantiere Giovani as social sector organisations. It is co-funded by the European Commission within the framework of the Erasmus + programme, and it will be a stepping stone towards a fully inclusive European society where every European citizen has access to high quality education and employment.